There used to be rumours that Tony Benn/AKA Anthony Wedgewood Benn/AKA Viscount Stansgate was a Tory plant. After all surely nobody besides a few Trots would buy into his far left claptrap, which he was trying to convert the Labour Party to in the 1980s. The insane leading the blind. If only American twenty-somethings didn’t think she was the cat’s pajamas. Not that they’d get the reference. The whole lot of them have been baked on the PC alter since grade school. Some will have made it through more-or-less intact, but many won’t be so lucky. The poor woke innocents won’t know what hit them if their hoped for socialist dream ever materializes. To find some real answers about Ms. AOC, search and locate (if you can) where Ms. AOC gets her climate expertise. She will be no different? The same goes for all the other politicians on the left who have been “hand wringing” in despair over our catastrophic future unless we “act now”. That would include Al Gore? John Kerry? Bernie Sanders? Mr. Obama? Their collective “balls of string” seem to lead back to NASA/GISS physicists in the late 1970s? Where else? Who else? Preaching climate “Armageddon” while testifying to the US Congress? Then complaining that the Paris Accord didn’t go far enough? But, don’t stop with the climate education of politicians. Find out where some “me-too” billionaires learn about climate and extreme weather. Same places? The young AOC is a well-fed step-child of these “Chicken Littles”..all trying to climb a political “Bean Stalk”..and in twelve years? CRU for starters, with Potsdam in the wings, now aided and abetted by the plethora of new climate institutes, that sprang up like mushrooms after the Kyoto Accord in 1997, and are still being created and funded. She is a sacrificial lamb being led to the slaughter by political wolves. When the climate stuff gets rough, they’ll toss her to the wolves as a diversion. In fact, they already have. Nobody of any political standing makes outrageous claims like her and lives (politically) to tell the tale. She imagines she has a political career ahead of her? She’ll be working as a barmaid again very soon. AOC is the American equivalent of our very own Diane Abbott. A hard working PR stunt who conforms to the term “any publicity is good publicity” but if Corbyn ever gets into No. 10 she will exist for a political minute. Any longer and she’ll be savaged by McDonnell. Like Diane Abbott is to the labour party, AOC is to the American Democrats. I thought there was another asylum keeper. Have you heard of Bernie Sanders? 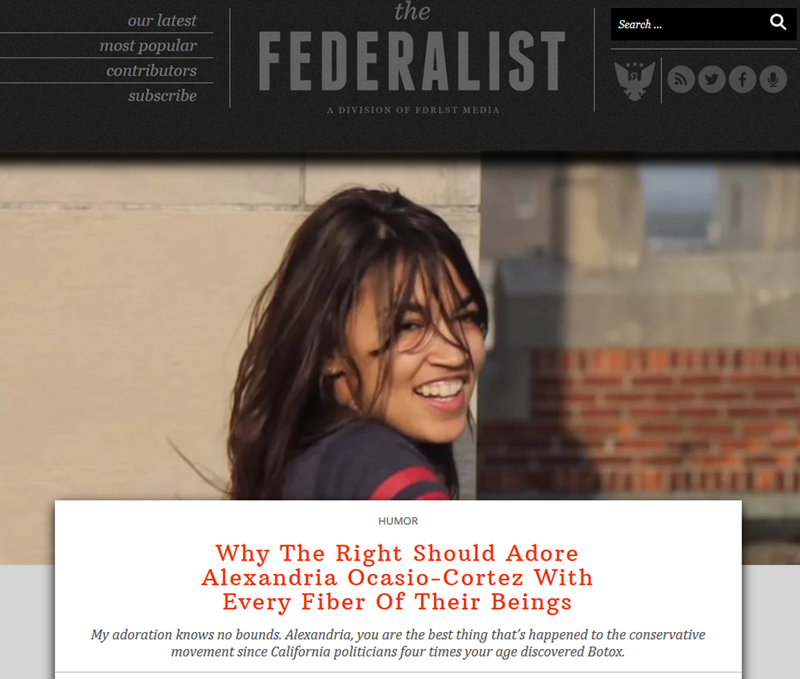 Be aware that The Justice Democrats have a production line of AOC-alike sock puppets. Even if she self destructs – the chute is loaded with loads more – some of the usual suspect funding will lubricate it. Looks like she does not understand wind-power! She does not understand, full stop. I was referring to her bad-hair day. Just like Diane Abbott, or almost all the sock puppet MPs you will find in Labour, the SNP and the Tories. I always believed that vacuous eyes were the outward indication of either sociopathy or profound intellectual limitations. You can decide which cap fits in the case of AOC’s blank stare. It is surfacing that she might actually be an actress playing a role for which she is unsuited. There is some reason to believe that some of the loonie left put out for someone to fill this slot and her brother nominated her. This is not a joke, although she seems to be. When she gets off her limited script, she flounders cluelessly. Before you dismiss this, remember we had Barack Hussein Obama, aka Barry Soetoro, for 8 long years. Lest you think this is goofball conspiracy stuff, do some internet searching on Justice Democrats. This is not secret stuff, they aren’t hiding anything, it’s all out there on duh net to see.